Posted on June 9, 2015 by Ronald Patrick Raab, C.S.C. Wow, Saturday evening was a blast! We had hundreds of people attend our first Sacred Arts Showcase! 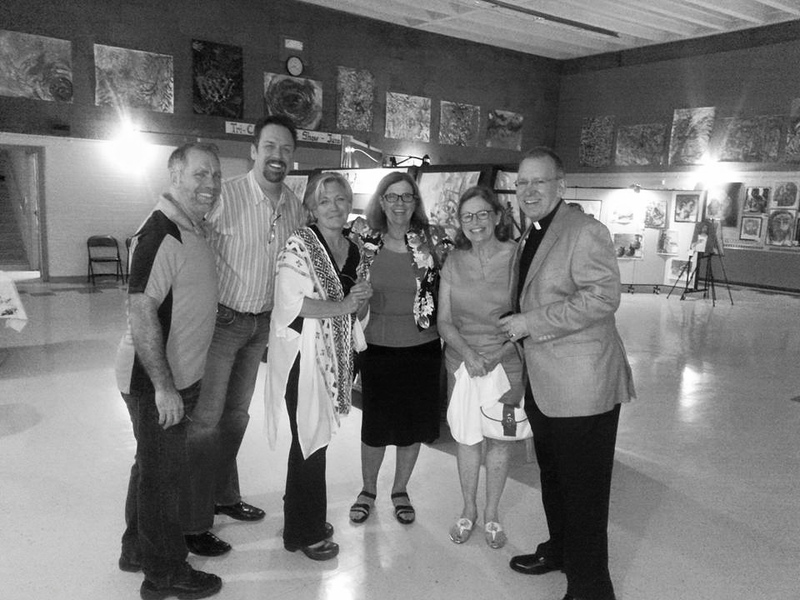 As the party ended, I am with Lisa, Mary Catherine and Shawn who organized the art and food. Musicians from our Tri-Community provided wonderful entertainment. I am so excited to establish art as a way to faith and relationships in our parish community.